For people of a certain age or generation, The Sandlot is one of the finest baseball movies ever made (yes, we’ve seen The Natural). The film unfolds over one glorious summer in the suburbs, where a bookish kid (Tom Guiry) befriends a bunch of noisy, baseball-loving boys. There are some cool adults involved, including James Earl Jones, Karen Allen, and Denis Leary, but the movie is mostly about the boys’ friendship, which is solidified when they plot to retrieve a Babe Ruth-signed baseball from their scary neighbor’s yard. It’s super rewatchable and quotable—just stop and think about how often you utter “You’re killin’ me, Smalls” when you’re exasperated—but writer-director David M. Evans is stepping up to the plate with a new feature. 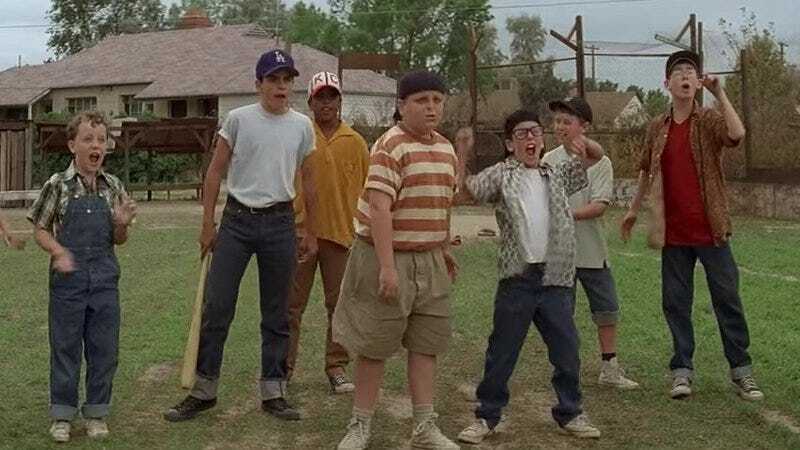 There’s no word on a studio or production schedule, but if Evans is even half as scrappy as the Sandlot kids, he should find backing in no time.